Manufacturer of a wide range of products which include aluminum melting furnace. We have gathered a huge customer base in this domain by presenting a comprehensive range of Aluminum Melting Furnace. The offered furnace is appreciated for captivating look and alluring pattern. 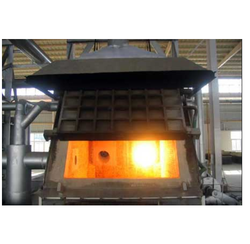 Also, the furnace is widely used in several industrial applications.